Cancer affects all of us in one way or another with approximately 1 in 3 of us expected to have cancer at some point - it is a both a life changing and horrendous disease. Over the next 15 years, it is estimated that cancer sufferers in the UK will nearly double from 2 million to around 4 million - so every effort made now to help support cancer sufferers is essential. 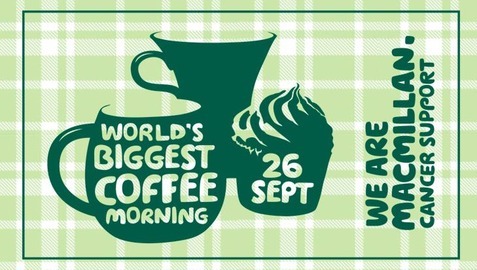 One of the ways we help is by taking part in the World's Biggest coffee morning with all money raised going straight to Macmillan Cancer Support. 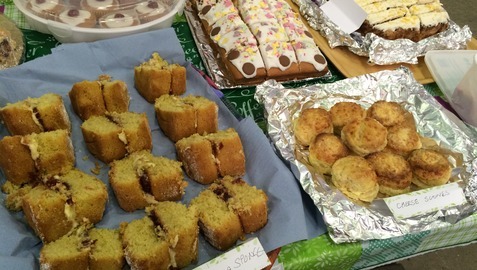 This year's event took place on Friday September 26th 2014 and thanks to the hard work from everyone who donated their homemade cakes/baking along with the generosity from our employees - this year we managed to raise over £90! 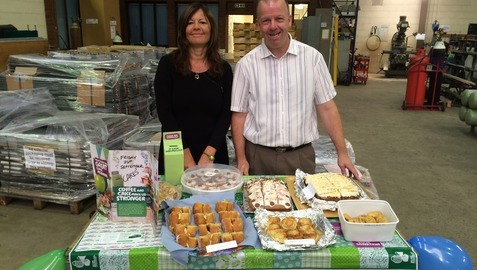 for Macmillan Cancer Support.